If you’re someone who frequently speaks in a language different than English. You must have always had one question in your mind while buying a laptop. “Should the keyboard layout be in English or should I get the one with the other language I speak?” This is a common questions which a lot of Arabic people who visit our site have. In short, if type more Arabic than English, then go for the Arabic Keyboard. However, if you don’t stick to the English Layout. Wait, there are many other things which wouldn’t have come across your mind, check them out below. Below are the advantages of buying a Laptop or machine with English (US) layout and advantages of buying the one with Arabic layout. Advantages of Buying Keyboard in English (US) Layout. There are times when you’ll need to type in English and if this is your first experience, then you might not even know, “which keys are where.” In a scenario like it, having an English (US) or English (UK) layout would save you. Easy for others to type. You might have non-Arabic friends who might want to use your computer system or someone who prefers typing in English. In a case like that it’ll be difficult for them to type. You can always be able to type in Arabic using → The Arabic Keyboard, so why buy a physical keyboard just for the sake of looking the letters. Reselling Factor: A lot of people prefer buying a laptop or computer system which has a English (US) layout. 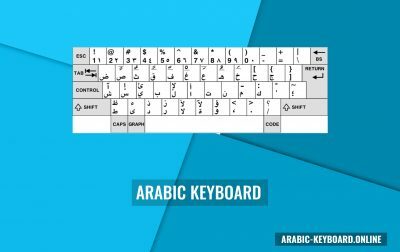 So you’ll probably have difficulty finding someone who needs a Arabic layout on his machine. However, you can sell the one with English (US) Layout in minutes. It’s not impossible to find one, but it’s tough. Shifting Abroad: Maybe you’re in a nation where Arabic is popular, but if you shift to a nation where Arabic isn’t spoken or written much. English could still be a medium because you can find English speakers all over the world. So to avoid language issues, you could have one with the English layout. Learning a different language: Learning a language might require you to translate words in to a language you know. It’s hard to find a good online course which allows you to learn other language from a non-English language. So it’s good to have English layout, because it could help you with the learning. You can get some good set of stickers for your Arabic Keyboard, they’ll help you see the Arabic letters on the physical keyboard as well. So, why buy an entire laptop or machine for just looking at the keys. 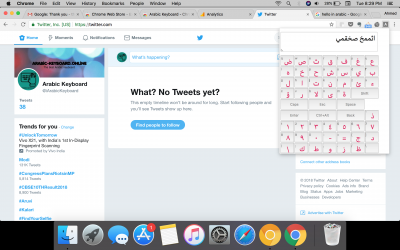 Makes your Arabic work easy, so if you use your machine only for typing in Arabic, then it’s a good decision to have a keyboard with Arabic layout. Although, we’ve given 100% uptime since day one of our launch. Not every online virtual keyboard is available always. The virtual keyboard online also requires you to have an internet connection. If you’re someone who walk in Arabic, talk in Arabic. The ones who primarily is buying a laptop only for Arabic work, then it’s good to buy one with the physical Arabic keyboard. However, if you’re someone who might not need the laptop for long, someone who keeps travelling, someone who uses English most of the time. Then you can avoid buying a laptop or machine with physical Arabic keyboard. It’s all about you.